We are proud to announce the addition of a new Rightline Gear Jeep Products dealer, Desert Rat of Tucson, Arizona. 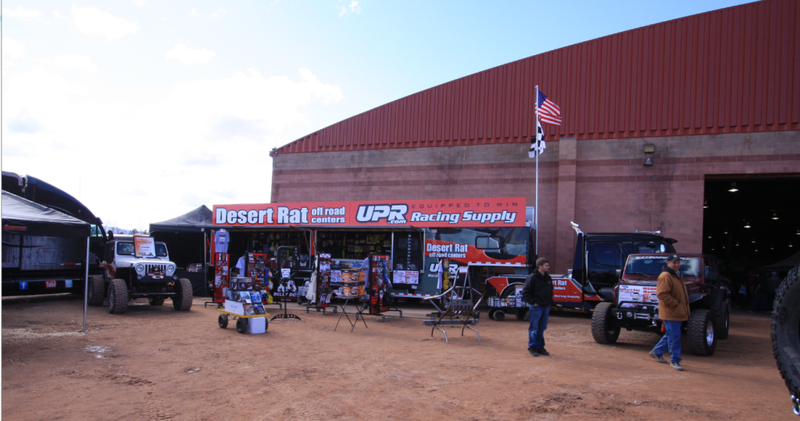 Desert Rat Truck Centers have (5) retail locations throughout Arizona and New Mexico as well as a great website. To get things underway, Desert Rat will be displaying and selling Rightline Gear products at the 2015 Moab Jeep Safari, Saturday, March 28 – Sunday, April 5, 2015. The Jeep Safari attracts participants from all over the country, it is not unusual to have over 1000 Jeeps taking part. The Safari is hosted by the Red Rock 4-Wheelers, a Moab-based club for off-road enthusiasts. The club plans the day long routes, organizes the sign-ups, and provides guides for each group. You do not need to be a member of the club to participate. An Expo is held in conjunction with the Safari, allowing Jeep vendors to display and sell new and existing products. You will also see new 4X4 models and concept vehicles nearby. Tire manufacturers show products and sponsor some great activities. Look for the Desert Rat truck and tents in the heart of the Expo. There is food, music and a festive atmosphere. What is better than hanging out with a bunch of Jeep people for a week. It’s a fun time to be in Moab, Utah.